Have You Been Accused of Domestic Violence in San Diego? Allegations of domestic violence are serious and the consequences of a conviction can be life changing. If convicted you may face fines, probation, or imprisonment, and could be prohibited from any contact with the alleged victim. If you have children, a domestic violence conviction could have an impact on child custody and visitation. To avoid these devastating outcomes, it is in your best interest to speak with a qualified, reputable criminal defense attorney in San Diego. Incidents of domestic violence involve abuse that is physical, sexual, or psychological in nature. However, domestic violence charges can be brought even in cases where no physical force is used. Such instances include harassment, stalking, trespassing, and destruction of property. Law enforcement officials take domestic violence allegations very seriously. In the state of California, a person can be charged with domestic violence even if the alleged victim does not report it or wish to press charges. Every domestic violence case is different. After an arrest, the decision to file domestic violence charges lies solely in the hands of either the District Attorney or City Prosecutor. The San Diego City Attorney’s Office has a special Domestic Violence unit devoted to these cases. 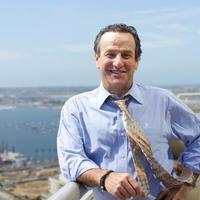 You need an experienced criminal defense attorney in San Diego to negotiate with the prosecutors on your behalf. We can help protect your rights in the face of these serious domestic violence allegations and work to avoid formal charges being filed. If you are facing domestic violence charges in San Diego County, let us mount an aggressive and thorough defense. Give us a call at (619) 239-2186 for a free consultation.